Parliament Budget Session Highlights: Earlier, Rajya Sabha was adjourned for the day after discussions over the roster system for reservation in educational institutions failed to get underway. 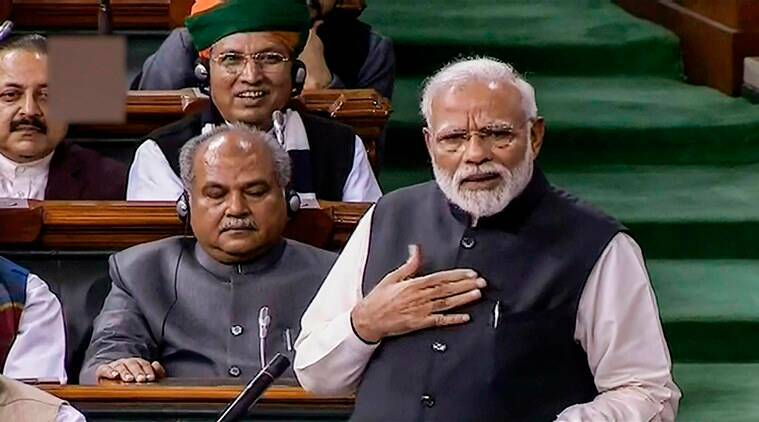 PM Modi during his reply to the motion of thanks on the Presidential address accused the Congress of insulting the Central institutions during its rule, saying they had called the erstwhile Planning Commission a “bunch of jokers”. He also coined new acronyms for BC and AD. “BC stands for ‘Before Congress’ while AD stands for ‘After Dynasty’,” PM Modi said. I assure you, those who have looted the nation will continue to be scared of Narendra Modi, he said. Earlier, the Rajya Sabha was adjourned for the day after discussions over the roster system for reservation in educational institutions failed to take off. Highlights from the Budget Session of the Parliament. Lok Sabha has been adjourned for the day. Lok Sabha adopts motion of thanks by voice vote. All amendments to the motion of thanks were also denied by voice vote. PM Modi concluded his response on the Motion of Thanks to the President's address. India will be friends with both Israel and Palestine. India will be friends with both Saudi Arabia and Iran. Our foreign policy has led to India's voice becoming stronger on the world stage, the PM said. Also,I am happy that after our efforts other parties are also reaching out to NRIs, its good, he added. PM Narendra Modi in Lok Sabha: 99 agricultural schemes which were stuck, are being completed by us now. is doing a coup, but Modi is destroying institutions, PM Modi said during his address in the Parliament today. PM Modi in Lok Sabha: Mahatma Gandhi had back then recommended the dissolution of Congress party. So 'Congress mukt Bharat' is not my slogan but I am just fulfilling the wish of Gandhi ji. PM Modi: People have seen the work a Government with an absolute majority can do. They have seen our work. They do not want a 'Mahamilavat' Government of those who recently gathered in Kolkata. Gas connections in their 55 years of rule were 12 crore, it is 13 crore in our 55 months. 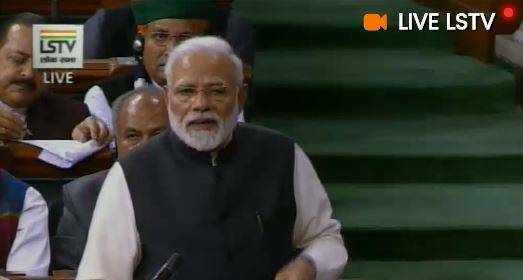 We have worked at much faster speed in our five years, PM Modi said in Lok Sabha. PM Narendra Modi in Lok Sabha: See your(Congress) manifestos of 2004,2009 and 2014. In all the manifestos you have promised that within 3 years every house will have electricity. I am amazed at this. PM Narendra Modi in Lok Sabha: You want to know what is my crime for them? That a person born in a poor family is challenging their 'Sultanate'.In 55 years of their rule, sanitation coverage was around 38 per cent and in our 55 months, it is nearly 98 per cent. PM in Lok Sabha: In last 4 1/2 years India became 6th largest economy from the 10-11th largest. When we reached 11th position than people, who cannot even be seen in opposition now, praised themselves. They felt proud on reaching 11th, why are they saddened when we have reached 6th. PM Modi: Our friends in the Congress see things in two time periods.BC, which is 'Before Congress', when nothing happened and the other is AD-'After Dynasty'- where everything happened. "Recently a movie called Manikarnika was released.... We are reminded of Queen of Jhansi.... Who was Rani Jhansi? She was an ordinary women whom people chose that she should guard Jhansi," TMC leader Dinesh Trivedi said. 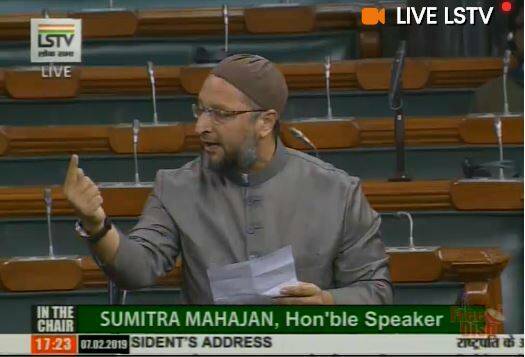 Bharat Ratna has become the exclusive club of the upper caste, the AIMIM MP said during his address. Prime Minister Narendra Modi is scheduled to reply to the motion of thanks on the Presidential address in Lok Sabha shortly. Participating in the debate on the motion of thanks to the President's address in Lok Sabha, Sena leader Anandrao Adsul chose to vent out his party's grievances against the BJP and said that while the NDA government at the Centre has done several commendable works, some mistakes have also been committed. He said Sena was a happier alliance partner when Atal Bihari Vajpayee, L K Advani and Bal Thackeray were at the helm of affairs. Jayadev Galla of TDP: Central government has given a 'band-aid budget' it has no accountability. The Rajya Sabha has been adjourned for the day. In Lok Sabha, Leader of Opposition Mallikarjun Kharge again asks for a Joint Parliamentary Committee for the alleged scam in Rafale deal. He questions the handing over the fighter aircraft deal to a company inexperienced in the matter (Reliance) which has recently filed for insolvency. Kharge: The BJP has no respect towards the institutions of the country. Voices of the poor and marginalised is being subverted. You have converted a 200 point roster into an 8 point one, shrinking the reservation of Dalits and marginalised students. Motion of thanks on the Presidential address being taken in the Lok Sabha. Leader of Opposition Mallikarjun Kharge is speaking in the house. He says that the Presidential address resonated the words of Prime Minister Narendra Modi. BJP's Nishikant Dubey raises question over TMC's dharna over Kolkata police chief's attempted investigation by the CBI. He asks why did the Mamata government protest for a bureaucrat when it did not care about its MLAs getting jailed in the same chit fund case. TMC MP's erupt for a minor protest. Kerala CPI-M MP M B Rajesh says that the govt has nearly tripled the monthly fee of Jawahar Navodaya Vidyalayas, making them inaccessible for the poor. he asked the government to withdraw the fee hike. Information and Broadcasting Minister Rajyawardhan Singh Rathore is taking questions in Lok Sabha. He will also lay a copy of the Annual Accounts of the Prasar Bharati, New Delhi, for the year 2017-2018, together with Audit Report thereon. 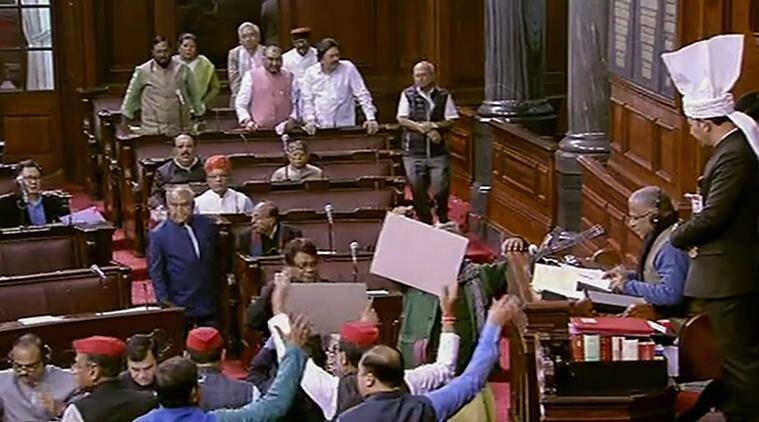 The Rajya Sabha had been adjourned till 2 pm after discussions over roster system for reservation in educational institutions failed to get underway on the fourth day of the Parliament’s Budget Session Thursday. In the morning, Punjab Congress MPs protested in Parliament premises demanding allocation of funds for the 550th birth anniversary celebrations of Guru Nanak Dev. The first three days of the session were washed out due to the Opposition's protest over a number of issues. On Wednesday, the Lok was Sabha adjourned for the day after paying homage to BJD MP Ladu Kishore Swain, who passed away late Tuesday night at the age of 71. The Rajya Sabha proceedings were washed out completely for the third day in a row over various issues including the Citizenship (Amendment) Bill and roster system for reservation in educational institutions.